Gorlier: First be more efficient. DETROIT -- Fiat Chrysler on Monday will introduce an online analyzer that enables dealers to forecast potential returns from expanding their service operations. FCA US believes its roughly 2,600 Chrysler, Dodge, Jeep, Ram and Fiat dealerships need to add 5,000 service technicians, 1,200 service advisers and about 6,000 service bays by 2018 to keep up with growing consumer demand. The reason: Growing sales and hundreds fewer dealerships than before bankruptcy -- along with millions of recalled vehicles to fix -- can mean long waits for service and potentially unsatisfied customers at FCA US dealerships. The analyzer uses a dealership's existing service numbers, along with registration data that map active and inactive customers within a geographic region, to paint a picture of the dealership's service operation. Then, the user is able to change various inputs -- adding or subtracting technicians, changing techs to four 10-hour weekly shifts or three 13-hour weekly shifts, or adding service bays -- to see how the costs and potential revenues from the department are affected. The analyzer also lets dealers see the potential financial impact of improving the percentage of customers still coming in for service one year after purchasing new vehicles. Now, almost two-thirds of customers who buy new vehicles from FCA US dealerships are no longer visiting the dealerships for service one year after purchase. For dealerships, expanding service departments can be an expensive and complicated proposition. If land is available to allow for an expansion, most dealerships would require local government approval to add service bays. If the land is available and government approvals can be won, the dealer still faces the challenge of hiring enough well-qualified service technicians to staff the added service bays and the service advisers to fill them with customers. 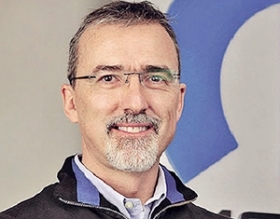 In some cases, says Pietro Gorlier, the global head of Mopar, the best answer for a dealership to expand its service effectiveness may not be adding service bays but adding service hours. "The number of investments being made by our dealers [already] in brick and mortar is huge, and this is happening organically. But I don't want to show up and say, 'Now you need to change the facility because you need'" greater service capacity, Gorlier explained. "Before you get to brick and mortar, you have hundreds of opportunities to make the process more efficient, to use the technicians that you have better." FCA US' recent spate of large recalls -- in 2014 it recalled 8.8 million vehicles, and through July 2015 it had already recalled another roughly 9.7 million vehicles -- is exacerbating growing demands on dealer service operations. So far this year, Gorlier said, FCA is making strides on its long-term goals. In 2015 alone, the automaker's dealerships have added a net of 1,300 service technicians, more than 700 additional service advisers and the equivalent of almost 600 additional service bays nationwide with construction and added shifts, Gorlier said. Gorlier has long championed Saturday and even Sunday dealership service to increase profits and customer satisfaction of dealers' service operations. The analyzer also can show dealers what adding additional weekend service hours will look like on their bottom lines.